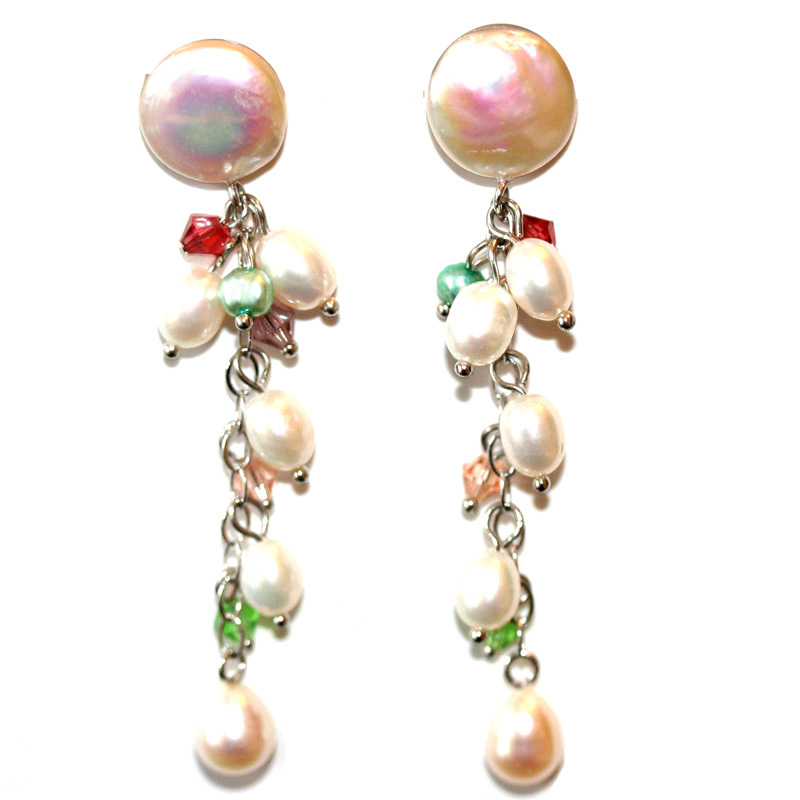 "Designer earrings consisting of 2-1/4 inch hanging earrings with a 12mm coin pearl top each and five rice pearls hand hooked into a hanging chain. There are a few crystal beads as well in red and green. The piece is silver. 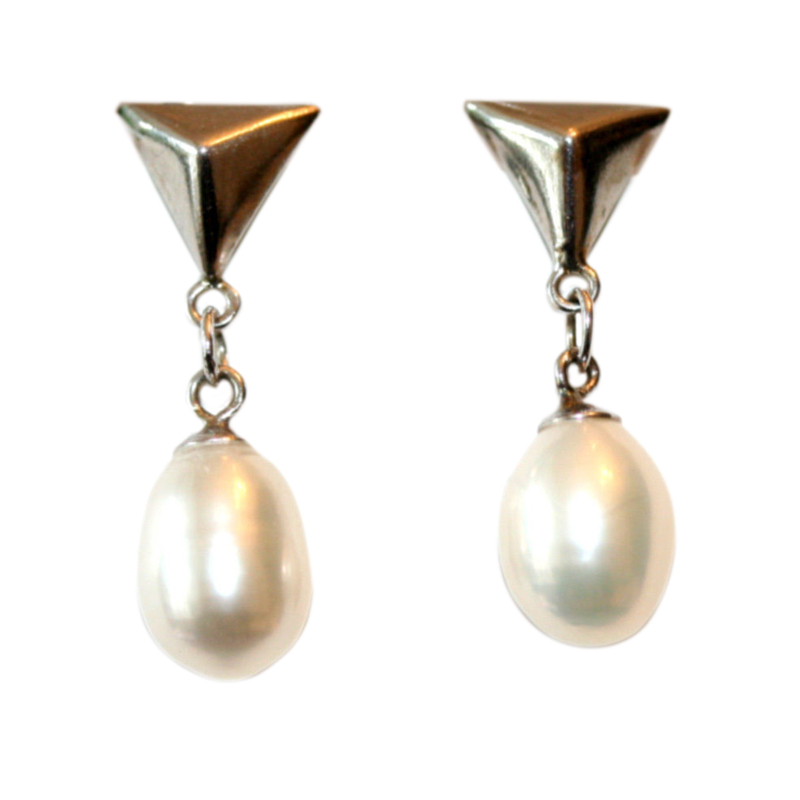 Condition: Pre-Owned, Excellent Comes with TrueFacet Valuation Report"
With a bit of a twist on the classic pearl earrings, these gray freshwater pearl earrings in sterling silver are perfect for day to night wear. 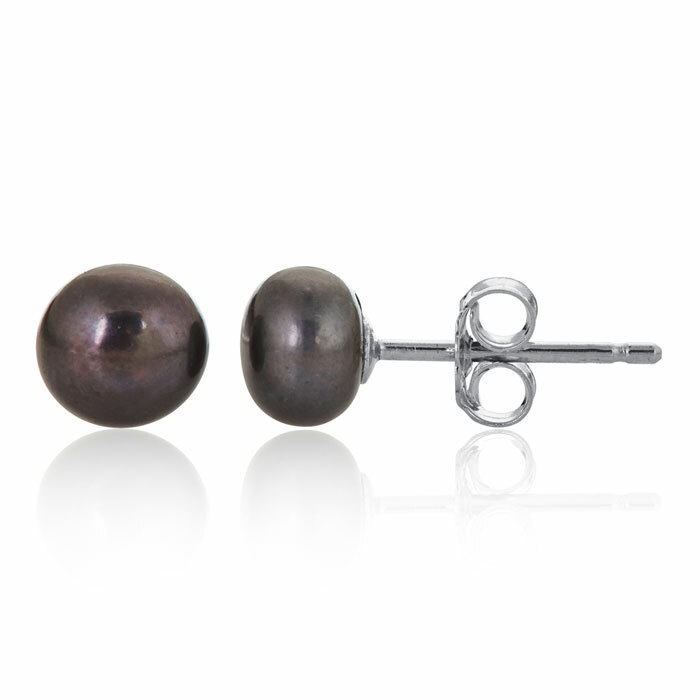 The pearls measure 6.5mm and have post with friction backs. 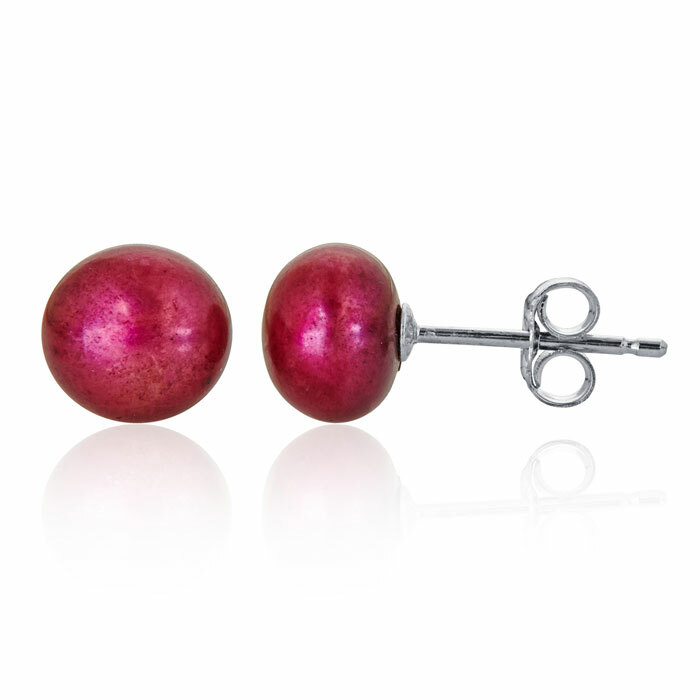 With a bit of a twist on the classic pearl earrings, these red freshwater pearl earrings in sterling silver are perfect for day to night wear. The pearls measure 6.5mm and have post with friction backs.